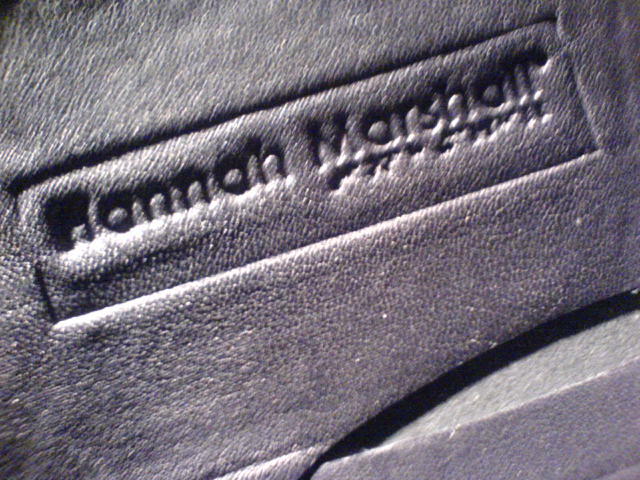 Hannah Marshall is going to show her collection at On Off during London Fashion Week. This just might be one of her new leather labels! I don’t think most shoppers know how much effort a designer puts into every aspect of their collection, the research, the design, fabric sourcing, pattern making, right down to the labels, swing tags and even the invites. There is so much riding on that one person! Hannah Marshall Hannah Marshall at ON/OFF during London Fashion Week. Yahoo, the invitations look great! !